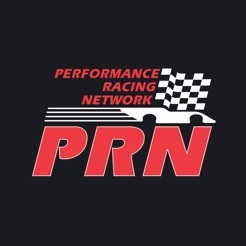 The Performance Racing Network (PRN) is one of two NASCAR licensed multi-broadcast radio networks which markets, produces and distributes motorsports programming 365 days a year. 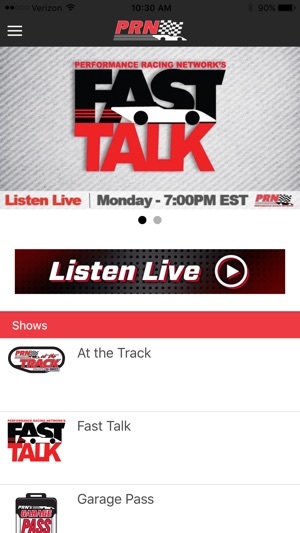 PRN broadcasts 13 Monster Energy NASCAR Cup Series races, twelve NASCAR Nationwide Series events and produces "Fast Talk", "The Pit Reporters", "Garage Pass" and "zMAX Racing Country." 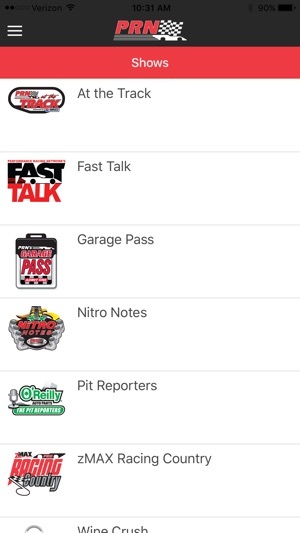 I downloaded this app at the Coca Cola 600 so I could listen to the race broadcast. I didn't even know it existed but found it in a search. 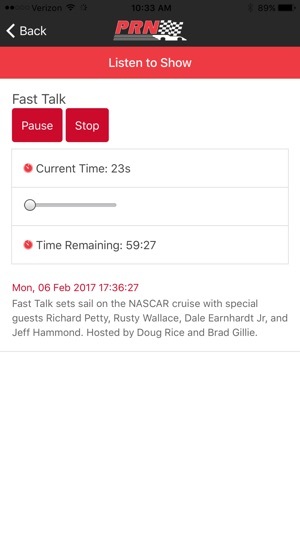 It has the same 60 second or so delay that you get on the radio, but it did the trick for me. I also listened in my car on the way home. 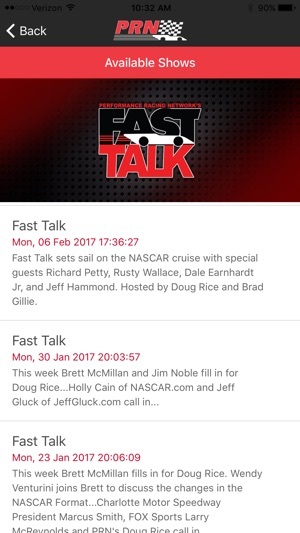 This is great to have so I don't have to find the local station broadcast when I'm out of town. 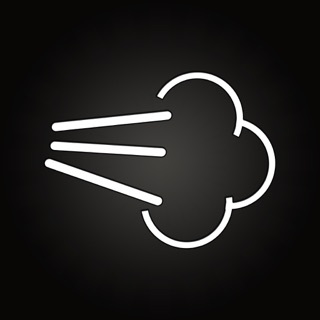 Overall a very good app. This is what I need out on the road. This way I don't have to surf stations looking for the race. I would suggest putting a link to it on your website. It took some time to find it on the App Store. 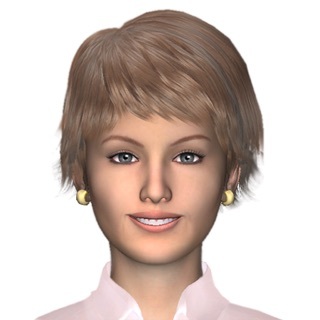 Thanks for the app! 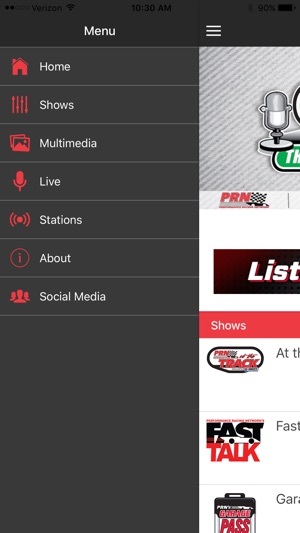 Live race coverage is decent but app goes into pause mode with auto lock on iOS devices. Set auto lock time at "never" to correct, but that bug needs fixing. Lots of "dead air" due to ad contracts could be minimized with more creative ad sales too. 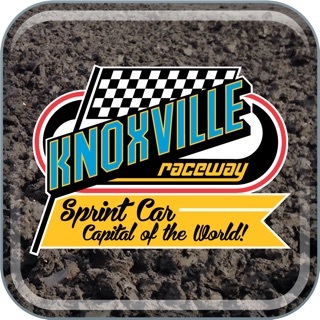 © 2015 Speedway Motorsports Inc.